How Do I File a Workers’ Compensation Claim in Tennessee? Workers’ compensation is a no-fault insurance system designed to pay for injured workers’ medical treatment and partial lost wages. Although workers’ compensation was designed to provide employees financial security in exchange for no suing their employers after being injured in a workplace accident, valid workers’ compensation claims are often wrongfully denied. If you believe your workers’ compensation claim was unfairly denied or you were provided inadequate compensation for your medical expenses and lost wage, contact Greg Coleman Law as soon as possible. Tennessee has a strict process that injured workers must follow in order to obtain workers’ compensation benefits. Our Knoxville workers’ compensation lawyers understand Tennessee’s workers’ compensation system and can explain your rights to you during a free consultation. Under Tennessee law, you only have 15 days to report your injury to your employer. However, the sooner you report your injury, the sooner the claim can be handled. Additionally, reporting your injury as soon as possible will relay a sense of urgency to your employer that you suffered a serious condition. It also prevents an insurer from believing that you are trying to file a workers’ compensation claim for a pre-existing condition. Furthermore, employees are often concerned that if they report their injury to their employer, they may be fired. However, it is illegal for an employer to terminate an employee for filing a workers’ compensation claim. If this does occur, the employee should contact a skilled lawyer immediately. After an employee reports an injury, the employer must help him or her receive all necessary medical care related to the injury, at no cost to the employee. However, the injured employee must receive treatment from a health care provider approved by his or her employer. The Employer should also help the employee contact the employer’s workers’ compensation insurance adjuster. Once you have reported a work-related injury to your employer, several things will happen. This is a written account of the injury that the employer makes. This form should be completed before any medical payments are made to the provider. An employer must take steps to ensure the injured worker receives prompt medical attention. If the injury requires immediate medical treatment, the employee should be taken to the nearest emergency room. A supervisor must provide an injured employee with at least three different doctors to choose from for his or her medical treatment. This list should be included on a partially completed Agreement Between Employer/Employee Choice of Physician (Form C-42). The injured employee must choose one of the health care providers listed on this form and sign it after he or she has made a selection. The approved doctor will provide treatment to the injured worker, and the employer’s insurance company will pay for the medical treatment. If the injured worker requires emergency medical treatment, this list should be presented once the injury has been stabilized. If the employer does not have a pre-determined list of physicians when the worker first sustained his or her injury, it should call its workers’ compensation insurance carrier and develop a list. The employer should work together with the employee to schedule an appointment. The employee should keep a copy of the agreement form. The employer should complete a Wage Statement (Form C-41), which details the employee’s wages. It includes the employee’s gross wages, overtime, bonuses and other income for each week for the 52 weeks prior to the injury. If the injured employee requires compensation for partial lost wages, the insurer will use Form C-41 to determine the amount of wages he or she is owed. The workers’ compensation insurance adjuster determines whether the injured worker is entitled to wage replacement benefits, based on the treating doctor’s opinion. If an injured worker is entitled to temporary disability payments for missing work due to a compensable work-related injury or illness, he or she must receive the payments no later than 15 calendar days after the notice of injury. If you believe your workers’ compensation claim was wrongfully denied, it is important that you discuss this issue with a knowledgeable workers’ compensation lawyer. 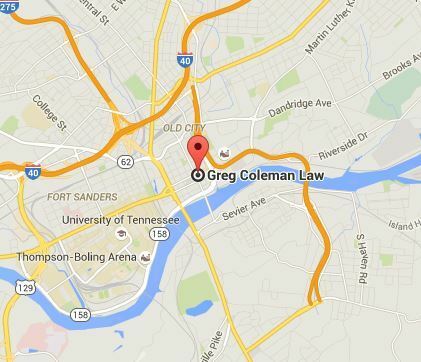 At Greg Coleman Law, our personal injury attorneys in Knoxville are strong advocates of workers’ rights and will fight to help you obtain the compensation and treatment you deserve for a work-related accident. We will assist you in every step of the claims process to help ensure you are treated fairly and your claim is properly handled. We can discuss your legal options during a free, no obligation consultation. We only work on a contingency fee basis, which means we do not get paid for our services unless you recover benefits for your claim. Call (865) 247-0080 if you were injured in a work-related accident.